January 2012 marked the beginning of my search for good online resources to help me start an Online business. The Internet was a completely new frontier for me and I knew I needed help. In fact, I was desperate for help. As result, I spent far too much money and many hours trying to find resources that were simple enough for me to understand and would actually help me rather than turn out to be an investment that offered no return (and there were many of those, I am sorry to say). This page is dedicated to everyone who is now following that same path. Maybe I can help you avoid some of the mistakes I made and also help you find some of the good programs/products that are available without losing money needlessly on worthless offerings. 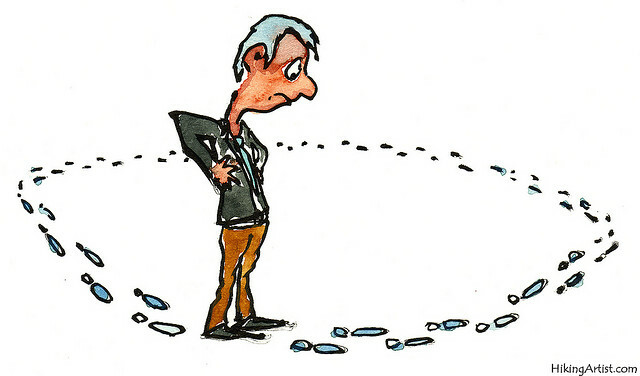 You no longer have to walk in circles, trying to find things completely on your own. When I recommend* a resource it means that I either use it or have checked it out — and believe it is among the best on the market. However, please understand that nothing is perfect including these recommendations. I am always open to feedback regarding your experiences and would love to hear about products you have discovered that have served you well. GoDaddy – I have used GoDaddy from the beginning, primarily because both of my sons worked there, but as it turns out, I like them. They have it all, including c-panel, which is an interface that makes things such as WordPress blog a one-click installation process. They also have an excellent free 24/7/365 telephone technical support system, which has served me well since I am far from a technical genius. And . . . they have a Website Development service that is quite reasonable compared to most Website Developers – and includes your hosting as part of the program. Hostgator – This is another well-known and frequently used company. I have never used it personally, but know many people who have. They have essentially the same services as GoDaddy with a similar pricing structure. Recommendation: Host your sites and buy your domain names through the same company, it makes things much easier. You don’t have to “point” your URL’s or do additional set-up because the domain is already in your hosting account. All serious Internet marketers use an autoresponder system and there are many available. Below are some suggestions. It is probably a good idea to diversify your lists rather than depending on a single system. AWeber – This is the one I used from the beginning, and have just recently switched to Infusionsoft. They have a free trial offer and then it is only $19/month or $45/3 months. Their help desk is responsive, patient and well-trained. Deliverability and tracking are very good. You can also add an attachment to your broadcast emails that will automatically post your emails to Facebook and Twitter. Niche Profit Classroom – Adam Short is the founder and “guru” of this site. He stays current with the continually changing world of the Internet and generously shares his knowledge. This is a membership site and requires a monthly fee (currently $67.00 for the basic membership, which is all you need), but you can cancel at any time. If you are a complete newbie, this is a great place to start. There is a wealth of information and a number of very good tools available – enough to keep you busy for a long time. This is where I learned the basics of website building. You can try it out for two weeks for only $1.00 – well worth investigating. Mari Smith – Social Media Marketing Expert. Mari Smith offers a number of courses and an active blog covering the intricacies of social media, especially Facebook. I took her Extreme Fan Base 2.0 and found it filled with important Facebook strategies; however, it is more of an overview of all the possibilities, rather than detailed explanations of how to implement the strategies. I do not recommend this early on – get some experience with social media first. JM Internet Group – SEO Training. Jason McDonald is the “guru” of this site. He is excellent. DO NOT take this class until you have a Website up and running – and then it is great! I took it twice – once before I had a website (and had no idea what he was talking about) and once after my Websites were built (then, it was extremely helpful.) Jason really knows his business; he is an engaging presenter; and responds personally to follow-up questions when they are not covered on his Q&A Blog. You can also repeat the course at no charge for a year. Melanie Duncan – Melanie is one of the “gurus” that will give you the straight story. She runs several successful businesses with her husband. As a result, her training programs and coaching are based on experience. The hard sell is not her style. She will not try to sell you something you do not need or that is above your level of development, which is one of the reasons I like her so much. Her courses are informative and useful once you have some time and experience under your belt. As soon as you have clarified your ideal business and have implemented some strategies that are beginning to work, Melanie can help push you to the next level. The Power of Pinning – This training focuses on how to use Pinterest effectively as a business tool. Her tag line reads: Use Pinterest the Smart Way Start Increasing Traffic to Your Site Right Away. She also has a free webinar so you can see exactly what is being offered. Online Edge Academy – This course will help you evaluate your business, yourself, your customers, etc. – to identify changes that must be made to move your business forward – again a rather advanced course. Kinstant Formatter – This is the best tool I have found to format books for Kindle Direct Publishing. If you decide to purchase this, you may also want to purchase my little book, A Guide to the Kinstant Formatter, which will help you use the tool more effectively. It is not without its quirks, but they are manageable after you have used it a few times. Real Fast Audio Books – (Daniel Hall) – Digital self-publishing is great, but audio books can take your content to a different level and establish an additional revenue stream. This easy-to-understand course walks you through the process, one-step-at-a-time. BUT – before you starting working on your audio book, be sure you have published it on Kindle first – this is an Amazon requirement. Grammarly Lite – Spellchecker, Dictionary & Thesaurus – Designed For The Web. This tool is a FREE download and is very helpful – better than Word Spellchecker and checks automatically, even blog posts, etc. There is also a subscription version that has a broader use – $139/year. Adding visually appealing photos and graphics to your content can significantly enhance the appearance of your e-books, blog, and Websites. Below are sites I recommend to use for downloading photos to give your pages the “Wow” factor. Most of them are paid sites. NOTE: Be sure to read the terms of usage and abide by them. Always give proper attribution to the photographer or artist. Photopin – www.photopin.com – This is where I start because there are lots of free images through Creative Commons – You can also purchase through Shutterstock at around $10/image – Usually the top two rows (above the dotted line) are paid images. But, either way you must give proper attribution. Fotolia – www.Fotolia.com – Credit packs which are good for 1 year – start at 26 credits for $35. Small images are usually 3 credits ($4.00). Big Stock – www.BigStock.com – (Best subscription packs) Monthly subscriptions starting at 5 images/day for $69/month. Credit Packs – “on demand” images starting at $25.00 – good for 1 year. 123RF – www.123RF.com – Monthly subscriptions for 5 images/day for $89. Buy “on demand” images for less than $1.00 per credit (average medium 300 dpi image = 3 credits) – credits good for 365 days. Morgue File – http://morguefile.com – Free, but limited. I have never found it useful, although some people love it. Proceed with caution when you receive promotional materials from the following. They have some good materials, but there is a lot of duplication in their materials and there is too much repackaged free information from the Internet. Based on their very convincing FREE Webinars, they all seem to be well-educated and well-spoken businessmen. However, I am still not clear on how much personal experience they actually have with any of the products they are marketing – or if they have simply developed well-oiled marketing machines that glean hundreds of thousands of dollars from newbies entering the Internet business arena. I have purchased a number of products from both sources, kept a few and returned more. I can honestly say that I received little to no value from most of it; hence, my comment about proceeding with caution. Of course, you could have a very different experience. It is possible that their products were simply not a good fit for me. Ty Cohen – I made one purchase from this man and it was without a doubt, one of the top three worst products I have purchased. The information was essentially worthless. I returned it and managed to get my money back, but it was not easy. It was not a good experience. Check back often to see what is new.